It was not that long ago that most bills for automotive repair were hand-written by the technician who did the work. Often it was ripped (sloppily) out of an invoice book, with dog-eared corners and grease stains on it. You were lucky if it was itemized beyond simple one-word descriptions like brakes, alternator, or battery. Tax may or may not have been charged. Those were the old days… and we’ve come a long way since then! Generic point-of-sale (POS) business software like QuickBooks helped bring some professionalism to our front counters, even if it was not explicitly designed for the auto repair industry. In the early 1990s Canadian aftermarket shops got their first taste of software systems written specifically for them. Programs like PACE and Lankar made the process of tracking the repair process, much cleaner, more efficient, and incredibly user friendly. These programs allowed the shop owner to truly understand their businesses better. With capabilities ranging from accounting, to inventory tracking, to customer relationship management (CRM), they allowed shops to monitor their clients’ spending habits and preferences. Vehicle histories were automatically recorded, warranty tracking was made possible, and year-end tax work was simplified. Then came Windows, which modernized computer software, added more colour and a suite of feature to help the front and back of the shop. Programs like RO writer, Mitchell1, and Protractor became the industry standard, offering ways to further streamline shop processes, improve the customer experience, and ensure the profitability of the business. Of all the benefits of introducing software, probably the most meaningful was its emphasis again on process. Shop coaches agree that process is at the heart of profitability. Process covers things like how to talk to the customer, how to quote on repairs, and how to follow up effectivly with the customer after they leave your shop. In recent years, shop owners have begun to glimpse the benefits of having a standardized process for inspecting vehicles. Inspections are themselves nothing new. But being able to track the condition of the vehicle from visit to visit, to watch components edge nearer and nearer to their failure point, has been nothing short of revolutionary for shops. 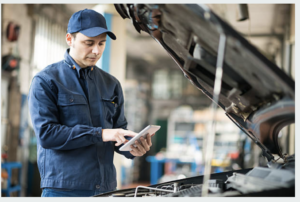 With diligent inspections and recording, the customer is kept in the loop of how the vehicle is performing and what services are creeping inevitably closer. More and more shop owners are turning to digital video inspections (DVI) to help them meet their responsibilities to truly care for their customers vehicles. All of the major players in the DVI field are integrating their programs into the common POS programs. Today’s DVI allows a technician to follow a predetermined inspection routine, marking all observations on a tablet. Notes are easily recorded using drop-down menus and “canned” verbiage, so the process doesn’t get bogged down. Techs can even record a comment that is added to the file, or automatically transcribed onto the work order. Inspection results can be supported by pictures that can be annotated with arrows or circles to support the tech’s findings. In some cases, the tech can shoot a short video of, say, a loose ball joint to make the findings even clearer to the consumer. Jamie Cuthbert, founder and president of AutoServe1 says digitizing the inspection process can boost shop profits by 20 to 30 percent. And in a world increasingly dominated by tech-savvy young consumers, it is part of the new retail landscape. “Millennials expect this level of knowledge-sharing and transparency,” he said. The underlying value of digital video inspections is the trust it creates among customers. The report allows them to truly see what is wrong (or about to go wrong) with their vehicles. They no longer have to simply take the technician’s word that services are needed. They can verify it themselves. With trust comes great confidence and willingness to spend. The DVI actually makes it easier for consumers to justify the expense of caring for their cars. Push marketing relies on imposing a suggested sale on the consumer, usually by creating a need and offering a solution. Traditionally repair shops create the need by finding a vehicle fault and presenting the solution in the form of goods and services. Pull marketing, on the other hand, educates the consumer to the point that they request the goods or services themselves. The most famous push marketers are the folks at Apple, which broadcasts the keynote speech at its annual conference for software developers specifically to tell consumers what the company is working on. Apple sales are known to spike dramatically after this presentation. Why? Because rather than try to push new products in a typical commercial way, Apple piques consumer interest with a showcase of technological opportunities. Education is at the heart of pull marketing. Patrick Egan, marketing manager for Kukui, says that’s what shops need to tap into when performing inspections. Nima Djoo, head of marketing for AutoVitals, agreed. “The new reality of being mobile and having content accessible at any time or anywhere means that consumers expect their inspection results on the go through their preferred channels (e.g. text, email), with a report that clearly showing what’s needed to be repaired or replaced, combining educational content to help them better understand complex repairs that they often otherwise would ignored or dismissed”. Djoo believes digital inspections are most effective when they are integrated directly into the shop’s management software. “Integration allows the shop to save time by eliminating duplicate work by the service advisor and by reducing technician idle time,” he said. Ultimately, it helps manage customer expectations. When presented with a thorough digital inspection, the customer has time to review the findings, check out the educational resources that come with it, phone a friend, or do some online research before making a decision about the repairs you recommend. All of this reduces pressure. While the DVI allows shops to add efficiencies, an important side benefit is that it gives consumers more control of their purchase decisions. 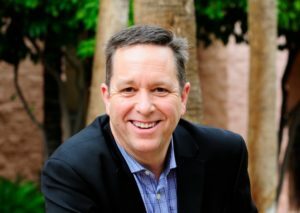 Alan Beech is a management consultant specializing in helping shop owners realize greater profitability. You can reach him at alan@beechconsulting.ca or at www.beechconsulting.ca.